Sunday was no rest day from work, even though we were graced with a visit from family. 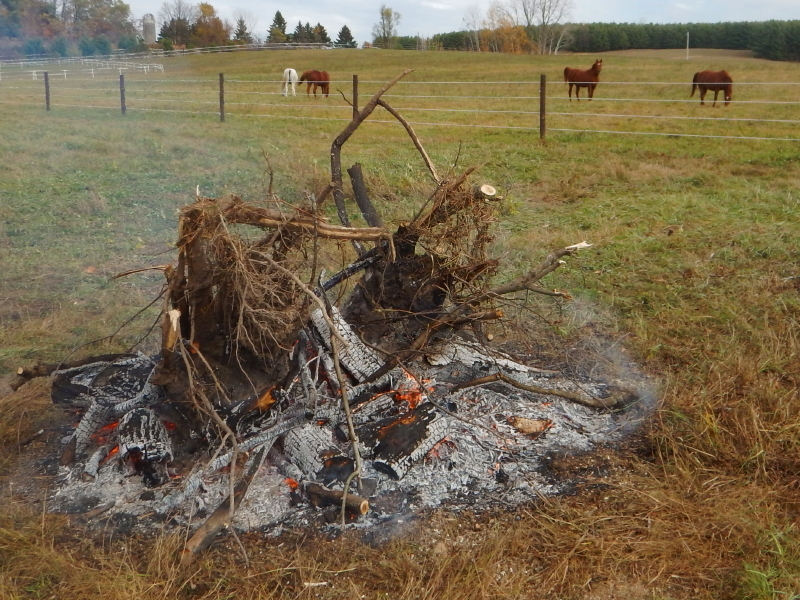 We started a fire to burn a couple of tree root bundles along with the remains of the brush pile we chipped the day before. While that was burning, I used the chainsaw to cut logs out of the tree trunks that were too big for the chipper. We had the ATV down there with the trailer full of tools, the tractor for lifting one of the tree roots onto the fire, and the pickup to carry all the logs back uphill for splitting into firewood. It looked like quite the activity center. When visitors arrived, they were welcomed at the fire. While I stayed to supervise the burn, they headed up to the house for some lunch Cyndie had prepared. Bless her heart, she brought me down a serving of a fabulous stew/soup she made in the slow cooker using meat from our CSA share, courtesy of our neighbors at Walker Farms. 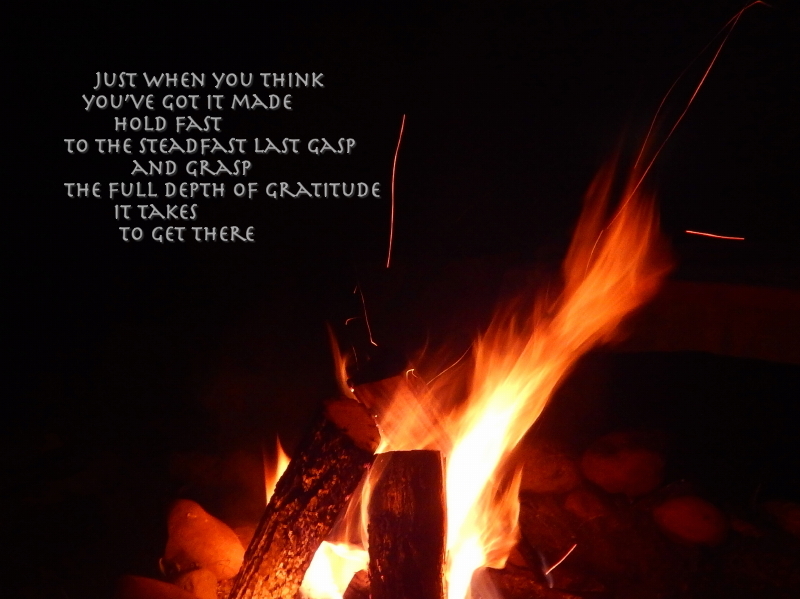 It tasted extraordinarily good to my hungry appetite, standing in the great outdoors beside a stoked fire. 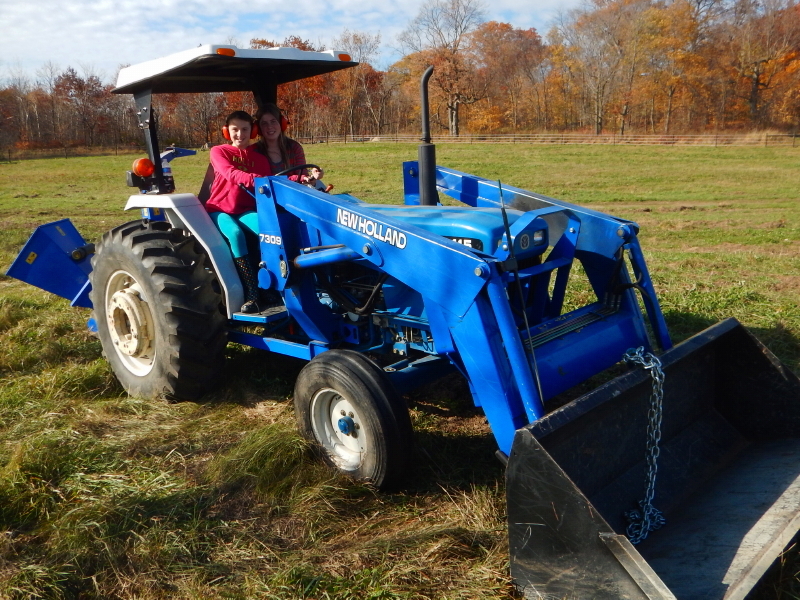 Nieces and nephews brought all their youthful enthusiasm to interact with Delilah, walk the horses in the round pen, and help around the fire. 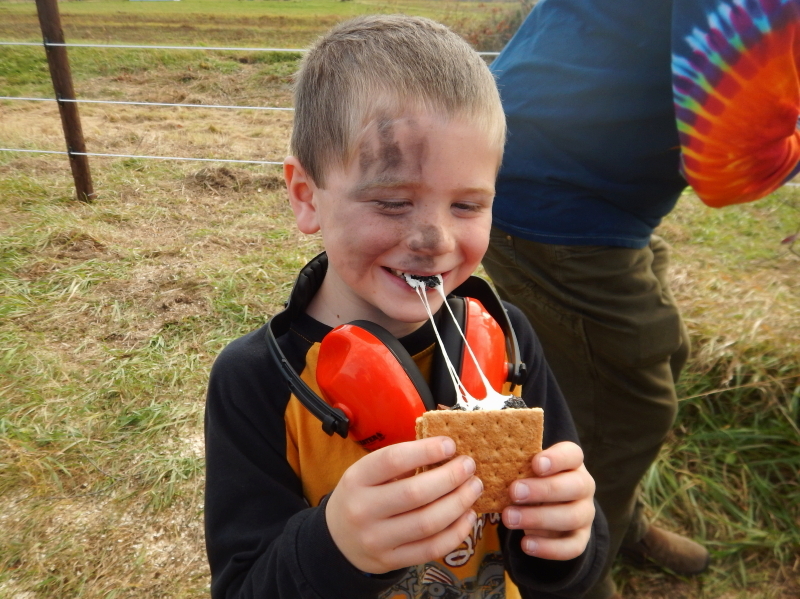 Where there is fire, Cyndie’s container of s’more supplies is never far off. Beck unknowingly handled the working end of the stick that had been used to stir the coals. Is it that obvious? Doesn’t really matter when there are marshmallows to be roasted. The weather was perfect, with just enough wind to keep the fire energized, and just enough sunshine to feel comfortable outdoors. After everyone was gone, and most of the equipment was put away, I walked back down to get the truck and to make sure the fire was done burning. It wasn’t, and I didn’t have the heart to extinguish it. It was a beautiful evening and I became mesmerized by the serenity of the fire, the horses nearby, the vista of fall colors, and the quiet that the end of the day offered. Looking up at the trees that still block a view of our house, I noticed that we are at about 50% foliage. The last few days the leaves have been raining down heavily from some of the trees. The rest are not going to hold on to theirs much longer. The season of more and more fire fun is upon us. Time to get that woodshed back up to cover our firewood. Probably also time for Cyndie to re-stock her tub of s’more supplies. 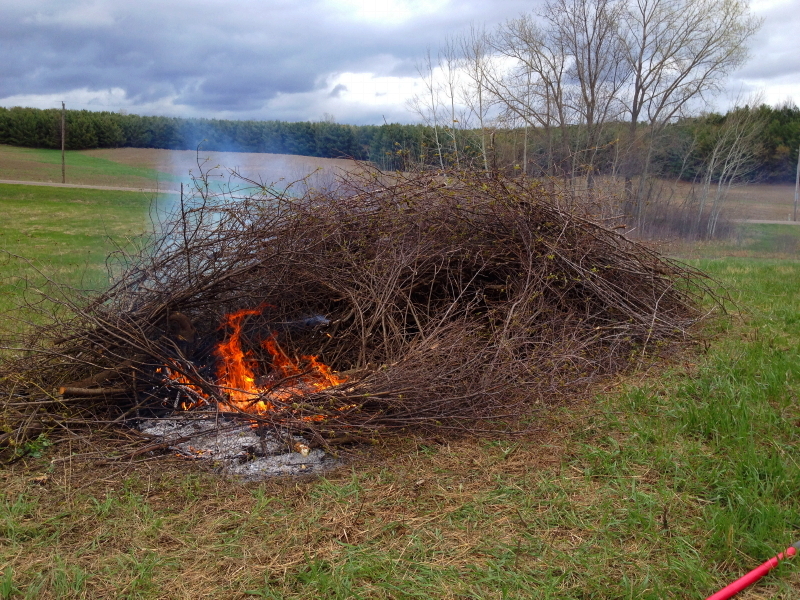 It is that time of year again when piles of brush get burned into oblivion. This pile was on the top of the hill on the north side of our driveway. There was a moderate collection of fair-sized branches that had been there since before we arrived. A couple of days ago, I tossed on some cuttings I recently cleared that were leftover from when I mowed this area last fall. That created a collection that was half-fresh-cut and half-long-dead. I wasn’t sure how it would burn, because the old wood was damp from the recent rain, and there was a gusty wind that could help, or it could possibly drive it out of control. I started daintily, pulling a small amount of debris off the pile to create a moderate fire, although, up wind of the rest of the fuel. I started on that side to take advantage of the wind, because I felt I needed it to cause the green wood to burn. 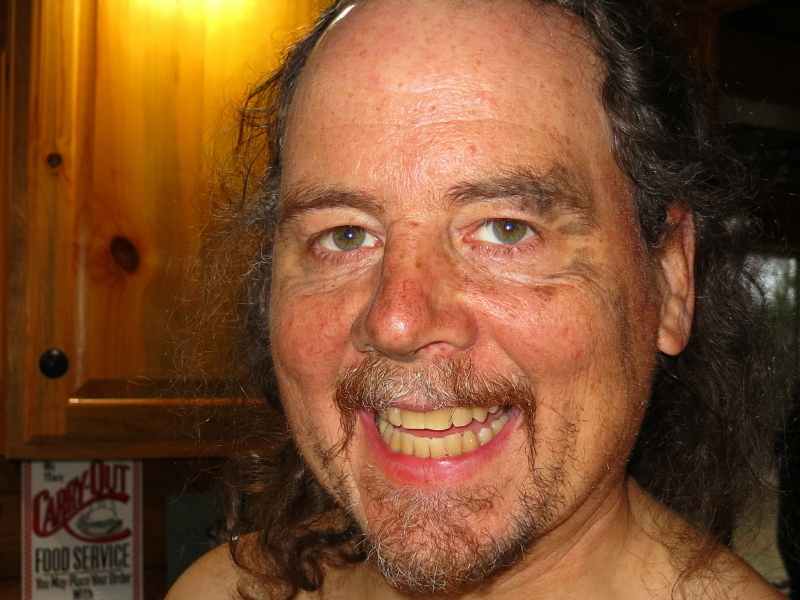 Progress was ideal and I enjoyed a fine afternoon by the fire. Cyndie made the trek all the way out on her crutches, and kept an eye on things while I took a break to walk the horses, one-at-a-time, off that damn muddy paddock and out where they could graze for a spell on the grass. After that last storm and its additional inch of rain, the little spot of grazing I fenced off for them is too soft for their weight and they will tear it to shreds if we let them on it. 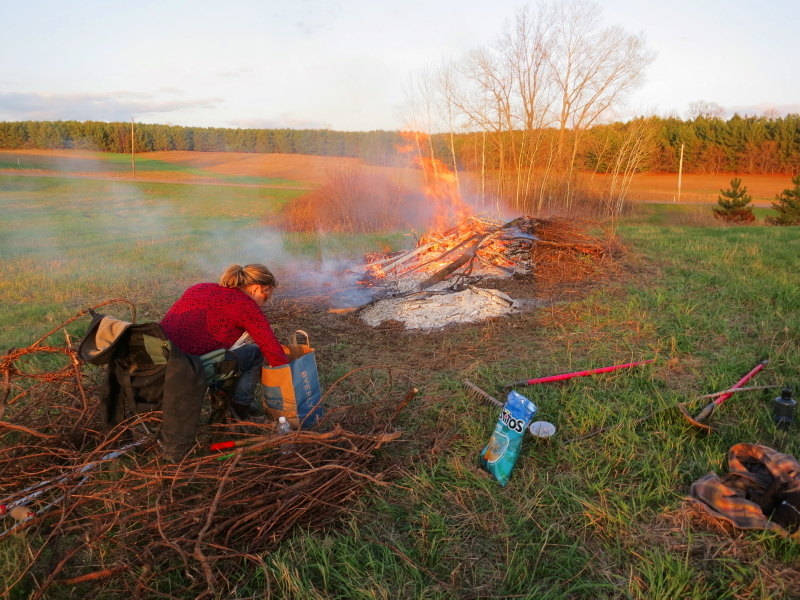 When I got back to the fire, I found Cyndie had outdone herself with the cutest little burn pile ever, all clean around the edges, safely pulled away from the main one, making me think I may have over-stated my concern that she do it my way. She was sitting on a chair, weaving a basket out of the vines that were growing all over the ground up there. Being forced to use crutches does little to stop her ambitions, it just redirects her energy toward more creative pursuits. It had turned into an absolutely gorgeous evening for a bonfire, so we decided I should head to the house to feed dog and cat, and then bring back a picnic dinner. That meant washing the manure and mud off of Delilah, before letting her inside. That done, I picked up my bag of food and headed for the door. Before I even opened it, I could see the flames through the glass. The entire pile was ablaze something fierce. I know the feeling of standing next to that. Elysa and I were present last year when one of our burn piles went rogue and roared alive with incredibly dramatic energy. I pictured Cyndie in that chair, hobbled by the healing hip, and my heart jumped a bit. Luckily, this pile wasn’t quite that large, and although dramatic, it was not a catastrophic event. I arrived with the bag of food and prepared to make a joke about her little clean pile burning safely on the side. She asked if she could tell me something funny. 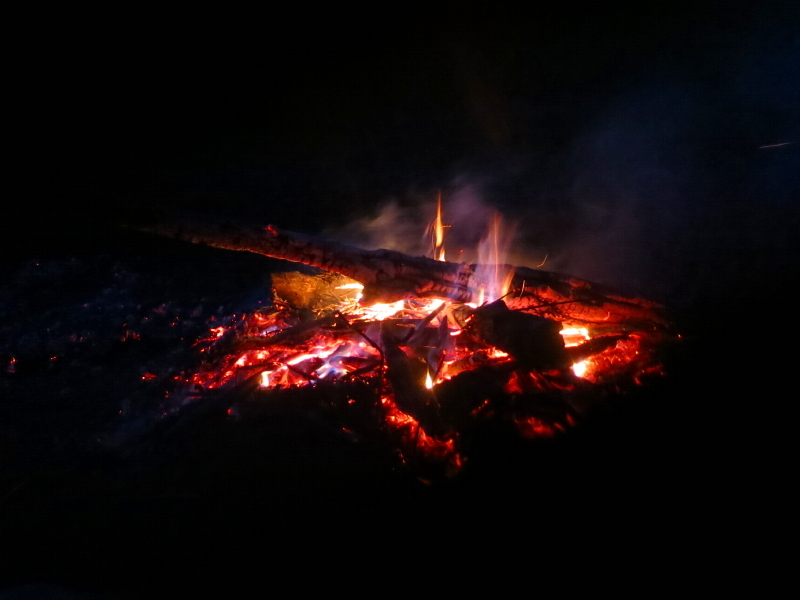 She was sitting there as the fire appeared to be burning itself out, and was fretting over having let it burn out while I was gone, by not adding enough new fuel to the side fire. Knowing I could just re-kindle the burn, she decided to stay seated. Without doing a thing, the core of the pile ignited! Fire is not to be trifled with. Kids, don’t try this at home. 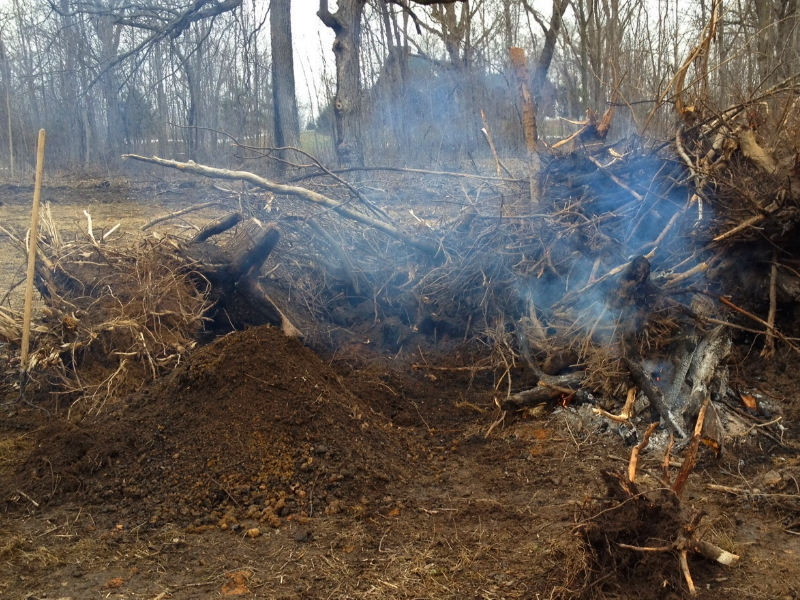 It rained Sunday night, but that didn’t stop me from reigniting the brush pile yesterday afternoon. It is a fascinating exercise to witness the ebb and flow of fire energy, as it slowly, but surely consumes tree root bundles. You can’t leave it untended, if you want to make constant progress. There is just too much moisture stored in the roots, and they don’t really want to burn. You need to keep feeding the fire wood that is dry enough to burn well, and stoke those coals to keep them glowing red-hot. Still, the fire will tend to grow calm, as the burn consumes the immediately available fuel. It is mesmerizing. 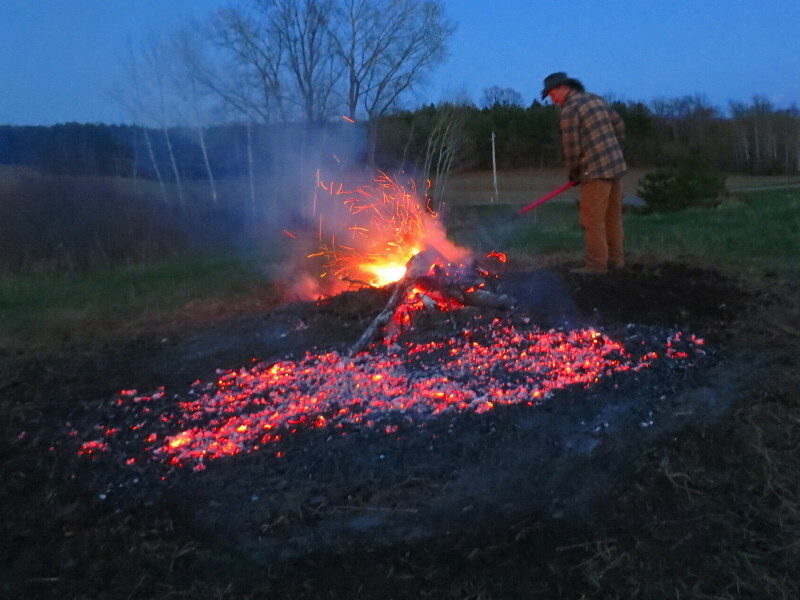 Then, a simple adjustment of the pile, by poking around in the coals, followed by the addition of some new wood, brings a rush of sound and fury. It is energizing. I completely understand why someone I know explained that her husband took a picture of her when she was lured out to tend their brush pile burn, while still in her bathrobe. The task has that addicting allure. Last night, I had a tough choice: the addiction of the fire, or the addiction of the NCAA men’s college basketball tournament championship game. 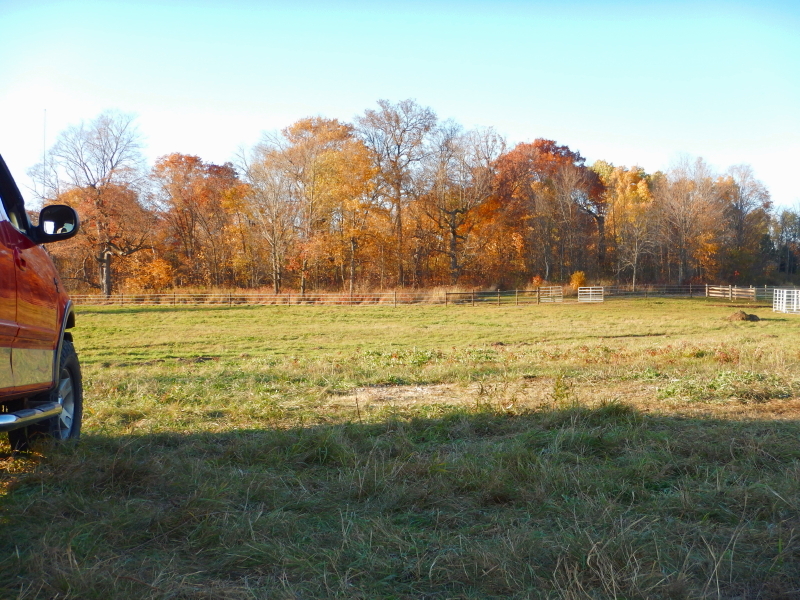 The brush pile will still be here today. The game won out last night.